Hey all! I just happened upon an auction site looking for some reference and what did I see? 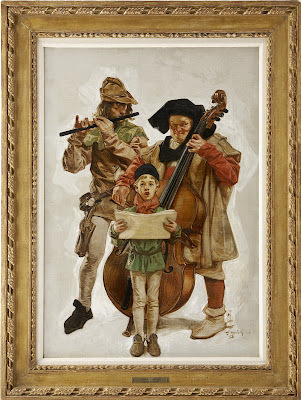 Some nice hi-res scans of Leyendecker paintings for sale. I can't afford the $100,000+ price tag, so the scans will have to do. Anyway, I thought I would add them to the blog. Enjoy! Well done. 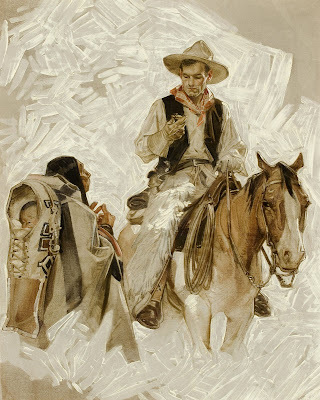 I am a great fan of JCLeyendecker and you have shown me more of his works. What a beautiful pieces of art. Keep up the great effort! Love the images. Great blog ! Keep up the good work ! These images are so great! Thank you for posting, and for starting this blog. 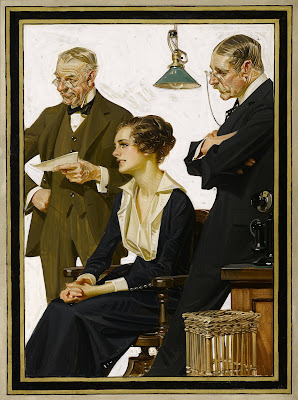 I'm a Leyendecker junkie like so many others, so it's great to have place to meet! Thanks for posting this stuff! 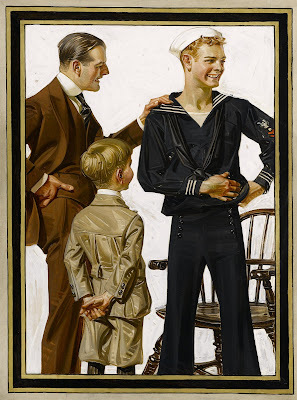 I am a huge Leyendecker fan, great to see he has a presence on the blogosphere. Sono italiano e sono folgorato dalla tua bravura...! !i tuoi lavori sono spattacolari! I am waiting for new stuff, Andrew! My cousin has a painting I haven't been able to find anywhere online,it looks like people getting their pay on payday . I have a pic of it. Any help would be appreciated.